The Frog Queen: Shut Up I Feel Like Ranting - Why I don't just read Superhero comics. Shut Up I Feel Like Ranting - Why I don't just read Superhero comics. I don't rant much on this blog. Or at least not unless it's about one specific book, but sometimes I just wanna make a rant about the current state of comics. You may have noticed that I am sort of all over the map with regards to what I choose to read. Let's be honest, I read a lot more than I actually bother to blog about. 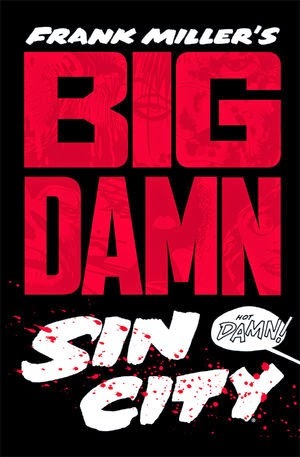 If I blogged on every little single I picked up, or every volume of a 50 volume manga series, people would probably want to shank me in the neck with a copy of Frank Miller's Big Damn Sin City. Did I mention that I'm re-read Berserk? I have never finished the series but I intend to. I decided to back up to book 10 and dive back in. At any rate, I don't suspect anyone wants to read a full article on each volume. Why would they? What the hell was I talking about? Oh yeah, my taste in comics. So basically, I do have a specific method to my madness and it does not include brand loyalty. However, I do become attached to particular creators. I choose to bother them with naggy questions about their processes or the things that inspire and influence their work. Most of the time they are kind enough to answer. I hold no loyalty to Marvel or DC. I certainly take more time to read books from Oni Press, Boom Studios, Fantagraphics and Image over the regular superhero comics. That isn't to say I'm unfamiliar with superheros. Quite the opposite. I grew up in love with all things X-men & Spiderman. I was in love with Chris Claremont's work and I use to wear a t-shirt that said I was Wolverine's love child. The issue is that I simply became bored. Things started getting re-hashed, re-used, my favorite characters started being written by lesser gods (comic book creators) and I decided I needed something with more heart. That's when I got REALLY heavy into indie comics and never really looked back. Except for this, I remember disliking this. Don't get me wrong, I still pick up the odd superhero comic. The thing is, I've gotten really choosy. 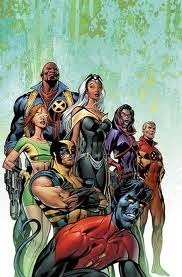 For the longest time I felt that Marvel's X-men especially looked rather rushed to print and lazily drawn. (Also the reason I stopped reading the Buffy comics, but that's a whole rant in and of itself.) Apart from some mini-series like Doop, the new Hawkeye or the first run of Savage Wolverine with Frank Cho, there hasn't been a whole lot that interested me. I am however going to get into the Silver Surfer starting today at the suggestion of a friend and because Mike Allred, Mike Allred, Mike Allred. My friend found me a copy of #1 so I can jump right in even if it's a couple issue late into the game. Let's see, oh DC. I've never been huge into DC superheros. 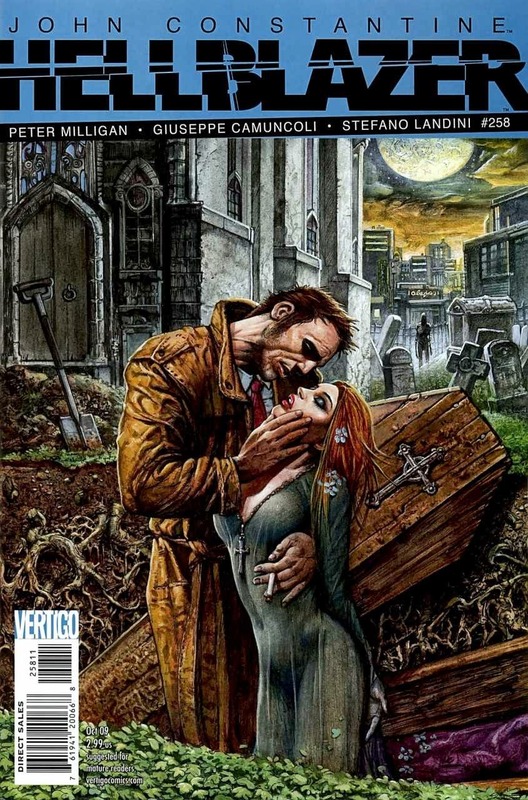 Beyond the occasional Batman, I'm been mostly heavily dedicated to Vertigo anti-heroes of old, Hellblazer, Sandman, V etc. It should be noted that I attempted to get into Fables, failed to admire it and left it in the dust some long years ago. Don't bother trying to get me to read Fairest either. Not interested. Then there is Darkhorse which after suffering the loss of Star Wars, is attempting to recover and really needs to step up it's game. I've always been a Hellboy fan...pretty much everyone who's worked on Hellboy has made it into my favor in some form or another. All that aside, it's pretty obvious my loyalties lie with the indie comic creators over the standard selllers. I don't want to defame them or call Superhero comics bad names. I just feel as though the genre has less to offer me than it once had. There will always be the greats to look back at. I've got plenty of massive volumes of Kirby as home, but there are few out there that have that appeal to me anymore. And sadly, I think I've mentioned my favorites already in this article. Perhaps I've left a few out. I'll have to go stare at my bookshelves. I could rant some more.. but I have work to do. Peace.